Before I went to work this morning I made my newly creation food which I called "Pasta Bahala Na". This is my second time cooking this recipe that I just tried if it will turn out good. I am glad that both my kids and my husband like it. It's very easy to prepare and its yummy. 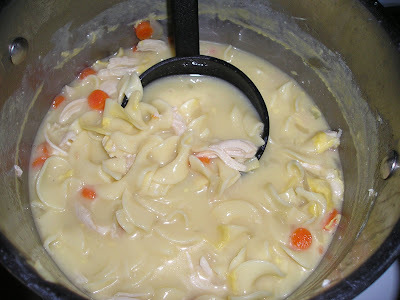 All you need is pasta, chicken breast, carrots, celery, onion, and cream of chicken. If anyone would like to know how to prepare it, please buzz me, goota go back to work now, am just on break hehehe.. 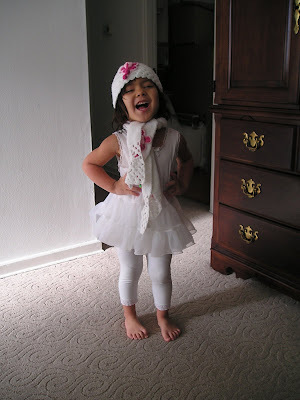 This is one of those days where we can't do anything but to play dress up. 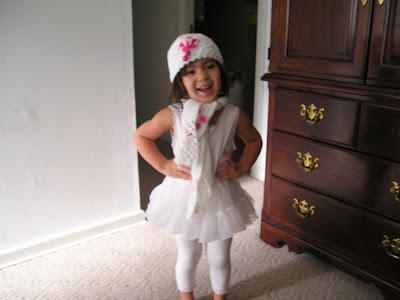 Rylie wanted to be a ballet dancer so she wore her Ms. Fairy dress and accentuate it with her shawl and hat.... She don't want to wear her shoes because she said it's just a rehearsal.... Whew, what a fun day for us! The fun part is, after she got done, she put it on her brother with shoes, which the latter resisted lol So here's our Mr. Fairy he he he.. Just having fun friends! No matter how tire you get from work, when you come home and see your kids, everything just vanish. That you are full of energy again, especially if your kids come running and hollering for your name. Gosh, its a music to a parent's ears hearing those words that your children are calling you. Its a wonderful feeling you have when you have kids waiting for you to arrive. It is also a very good way of easing up your stress at work, I always call my children my children and whenever I am having a bad day, they make it better. 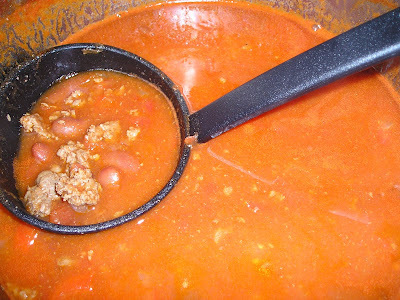 It's been a long while since we had home made chili and my husband mentioned about it this morning to me. So me and my children made a pot of chili tonight. When they woke up from their nap, they we're both looking for their Dad who went to his office to do something so I had to entertain them by letting them help me cook the chili. While my son was on my arms, he wanted to help so I let him sprinkle the black pepper and salt and Rylie was busy stirring it. I got two helpers now in the kitchen. 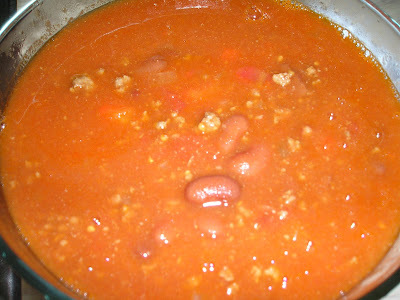 They say that if the food is made with love, it's good.. so here is the very good chili. When my daughter was only nine months old, I got pregnant right away and I kinda taken aback because of the big responsibility ahead of me. But my husband said that we will be alright, that we just need to trust HIM and everything will be fine. And when my son was born, the reality was hard to deal with. I been through a lot of emotional hang ups, I doubted my self if I could do it. But with the help of my loving in laws and great support of my husband, we've made it through. When we first brought EJ home, Rylie was happy and at the same time a little jealous. I have to really guard him because she would bite or pinch if we aren't looking. But despite of those, she also love her brother because she would always help me change and clean him and all that kind of stuff. I guess it's just normal to have 2, overwhelmed, jealousy, rivalry and all that.... I am so thankful that God gave us precious gifts that always bring smile to our face and joy to our hearts..